You know when you’ve grown up with something, you don’t even think to question it right? So as a young adult, making my way in the world I just could not understand why people didn’t serve Freida with pudding. In fact they (being all other people on the planet) not only didn’t serve it but they gave me strange looks when I asked them about it. Weird I know. The is less of a recipe and more of guidelines. Because people make Frieda to their own taste. But a rough guide is equal parts yogurt to cream (I like a little more cream to yogurt but that’s just me). Mix the two together and whisk until thick and forming stiff peaks. side not: I was given this mixer second hand from Rob’s aunt and I absolutely love it. Very retro. I’m pretty sure I’d mourn its’ loss if it broke on me. So spoon it all into a bowl and sprinkle the sugar over (and when I say sprinkle I mean cover with as much as you think you can justify!). Cover the bowl with cling film and pop into the fridge OVER NIGHT. Don’t ask me why, it’s just how I was taught. Now I need to warn you that the when you take the bowl out of the fridge the next day it looks a little…weird. What happens is the sugar kind of caramelises/liquifies (is liquify a word? Can I use that?). So it looks a little gross, but do not let that put you off. Because it is just so good. And that’s it! like i said, it doesn’t really qualify as a recipe, but it’s too good not to share. We had some guests come to Emmanuel this weekend. They were two Scouse guys with very colourful pasts but had found redemption and healing in Jesus. With all my heart I could not have felt more privileged serving them a meal at our home. Seriously, all-out humbled and privileged. Anyway I made some Freida and guess what? they hadn’t heard of it either. Go figure. I’m starting to wonder if me ma made it up all along. And if I’m right then who the heck is Freida?!?! 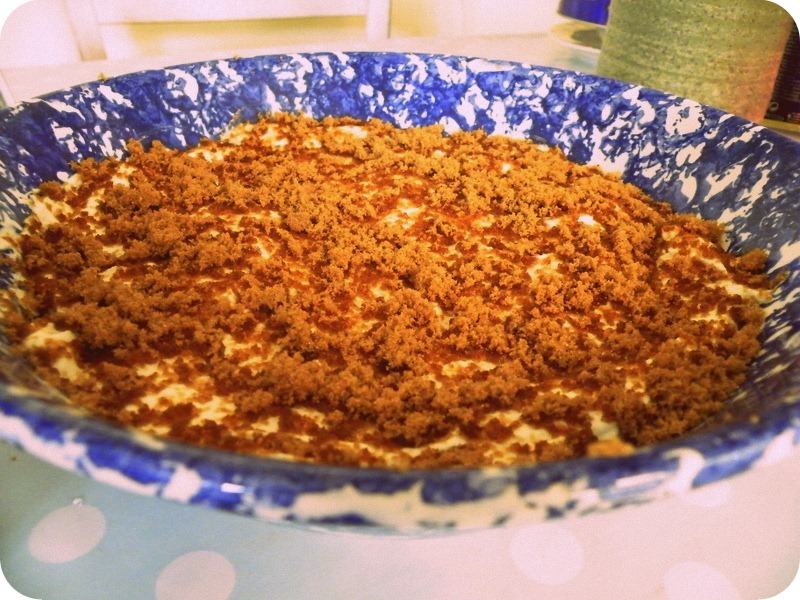 So, Darren and Peter…..they looked at the brown gooey mess and graciously tried it and said it was great. God bless ‘em. 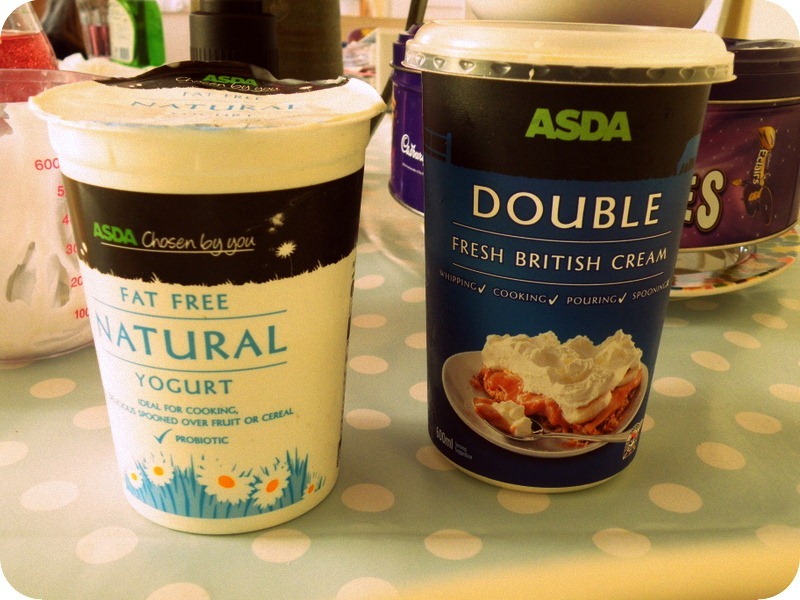 So if it’s good for those guys, it’s good for anyone, so go get your double cream! My mum’s been over to ours helping out with the girls while The Husband has been off gallivanting on the Isle of Man. When I chat with my mum conversation often jumps all about the place – and somehow, I really can’t work out the conversation trail that lead up to it, we got onto talking about rock buns. I’ve not made Rock buns since I was in high school. It was about the only thing they taught us to make in food tech apart from a sandwich. I kid you not. I remember making a couple of batches at home too. But then life happened and I forgot all about those little pieces of heaven. Until yesterday when chatting with my mum! So of course we had to make some just to see if they were as yummy scrummy as we remembered. And indeed they were. 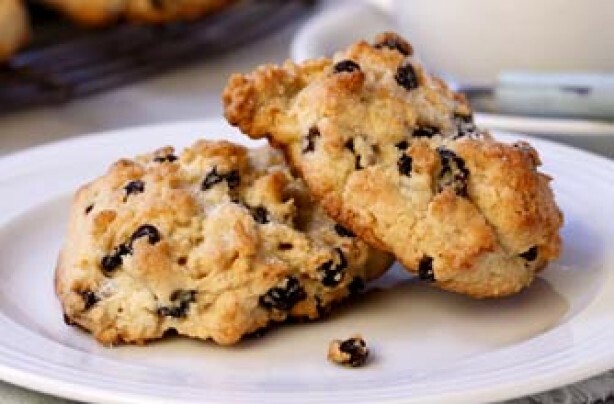 Rock buns, I think, are a mix of cake and biscuit – not as fluffy and light as a cake but not as crunchy/chewy as a biscuit. On of the best things about them is that they are so so so easy to make. The intentional shape of them lends itself perfectly to little hands, where uneven and messy ‘clumps’ of batter/dough on the baking sheet is not just acceptable but required. The original recipe calls for raisins in the rock buns. I replaced them with chocolate chips. – Heat oven to 200ºC, 400ºF, Gas Mark 6. Grease two baking trays. 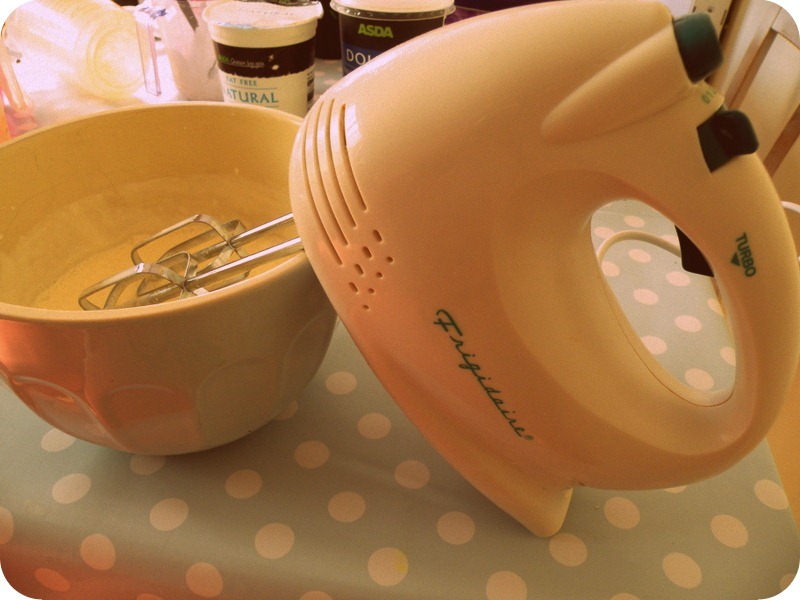 – Mix the flour and salt, rub in the margarine. 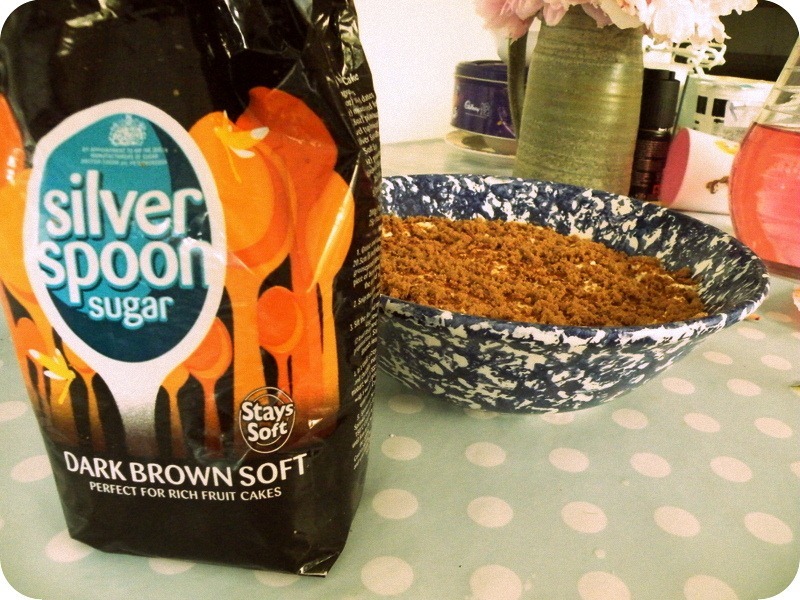 – Stir in the dried fruit, mixed peel and sugar. – Mix to a stiff dough with egg and milk. – Place in rough heaps on the baking tray and bake for 10-15 minutes. Warning/Disclaimer – Please be aware that once you try this recipe your family, friends and your own taste buds will hound you for more, so do so at your own risk. I take no responsibility for the financial cost of having to buy ingredients over and over again, nor will I take responsibility for weight gain caused by eating the rock buns by the batch when your loved ones are not looking.